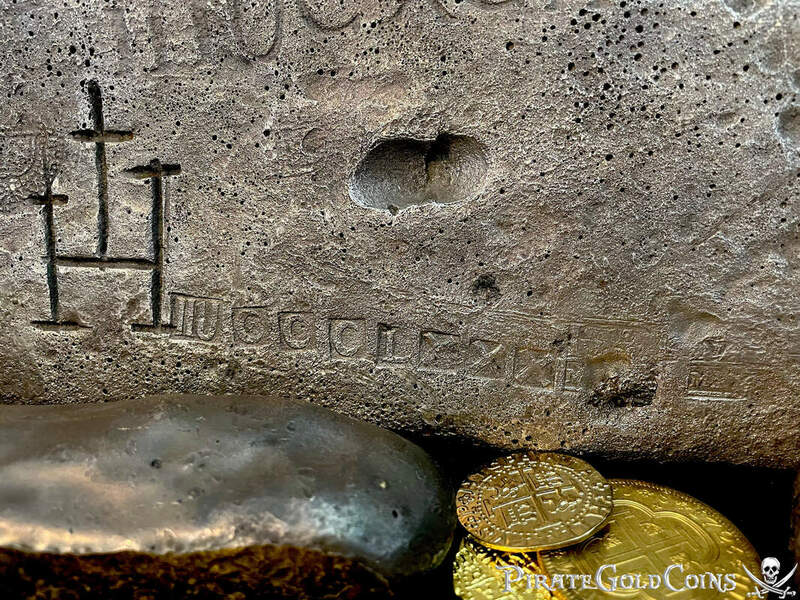 PERU 1708 8 ESCUDOS "1715 FLEET" 22kt SOLID GOLD DOUBLOON COB TREASURE COIN! PERU 1708 8 ESCUDOS "1715 FLEET" 22kt “PURE GOLD” APPROX 25 GRAMS (about the same as Original piece)!!! 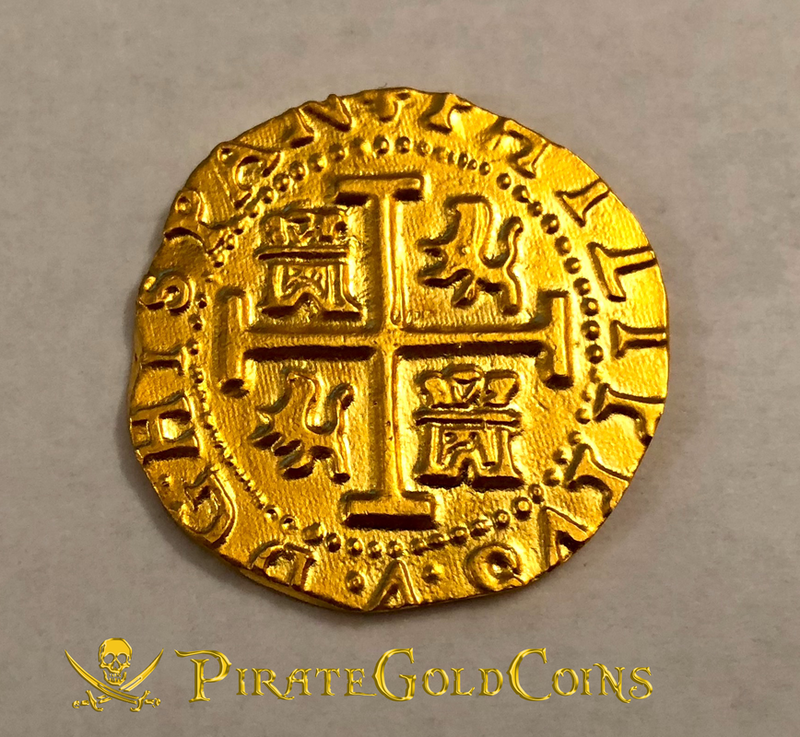 GOLD DOUBLOON COB TREASURE COIN PERU 1708 “1715 FLEET COLLECTION" 8 ESCUDOS "REPRODUCTION MATTE FINISH DOUBLOON COB TREASURE COIN. Specially Handcrafted Original Cob Shape ~ PURE 22KT GOLD 22KT "MATTE FINISH" MEASURING IN AT APPROX. 35mm and weighing in at approx. 25gm. 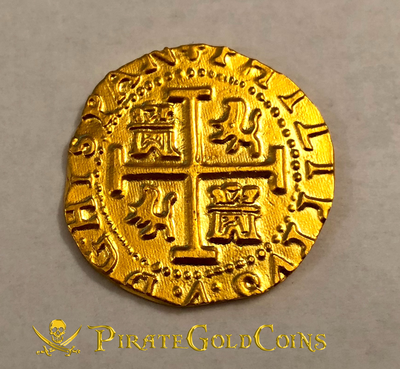 Many of these Original Gold Doubloons are believed to have been prepared as part of the “Queen’s Dowry” that was desperately needed by King Philip V in order to consummate his new marriage. The Original Pieces were lost at Sea along with the specially prepared “QUEEN’S JEWELS” as well (which have also been salvaged / recovered). The Obverse (Crown Side) has a much more elegant Crown then even the other Royal years. The Obverse legends read: RVM* REX *ETYNDIA = King of Spain and the Indies. The Reverse or CROSS side Legend reads: PHILIPUS V * DG. *HISPAN(DEI*G = DEI GRATIA or by the Grace of God). (Both the Front and Reverse LEGENDS together displays : Philip V by the Grace of God King of SPAIN and the Indies. the shield lies the Kingdoms of "Castile & Leon." 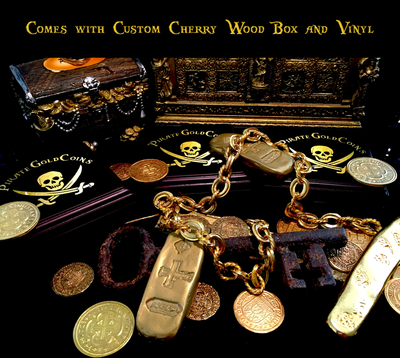 Also in the Legend is our LOGO for Pirate Gold Coins, surrounded by a circumfrances of beads (dots). These special handcrafted pieces are offered in two different finishes, both in Polished and Matte. We also created a combination of the two finishes as well; whereas the surfaces will be in the Matte finish and the High Points (cross, letters, etc..) will be polished. These artistian pieces would make beautiful Pendants (which we can mount for you as well) These special presentation pieces will allow collectors to enjoy many times unobtainable Treasures without any concern of displaying in your office or around your neck. 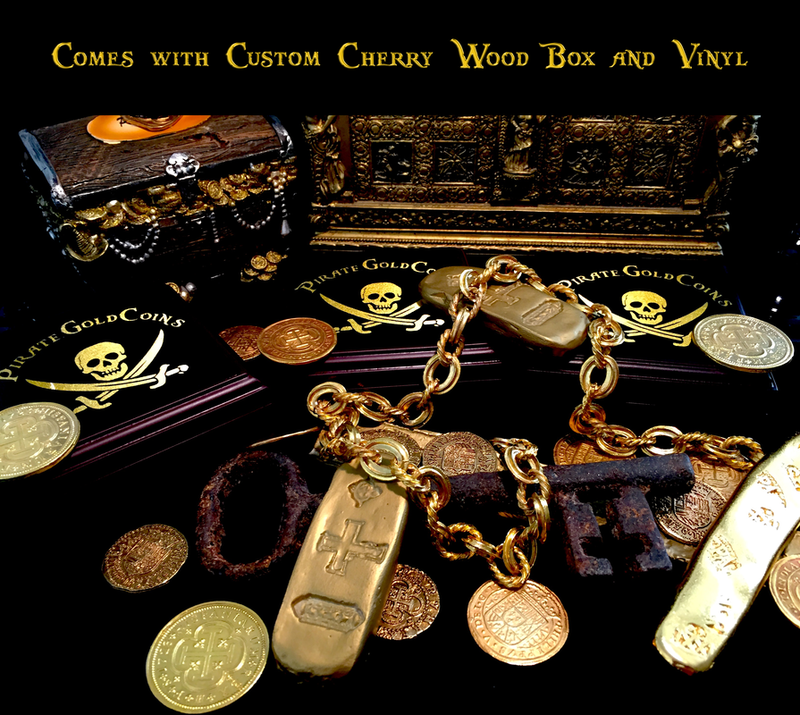 Each pieces comes with the Specially prepared Custom Wood Cherry box, velvet lined to fit the capsule it’s placed in (easily removed if desired) and with the custom “1715 FLEET” designed lid. (Limited production) Please keep in mind that each piece is hand struck and there are minor variations in color and appearance. “COLLECT ALL OUR HAND STRUCK REPRODUCTION SERIES!"